The 15 products that piqued EcoHome readers’ interest,including tankless water heaters, LED lighting, and green walls. Each year, EcoHome publishes information on hundreds of green building products in our print magazine and on our Web site, from water-conserving fixtures to energy-saving insulation to recycled-content tile. One way we track reader preferences is to tally which products from our e-newsletter garnered the most user clicks combined with which products enticed print readers to request more information via “circle numbers” found at the end of each product caption. Leading this year’s list of 15 is CertainTeed’s EnergyEdge, which insulates concrete slab edges to cut back on a home’s energy loss by as much as 24%. Also among the ranks are Dow’s structural insulated sheathing, Kingspan’s solar thermal system, and Woodharbor’s frameless cabinetry. Click on the slide show to see all top 15 products that piqued EcoHome readers’ interest this year. 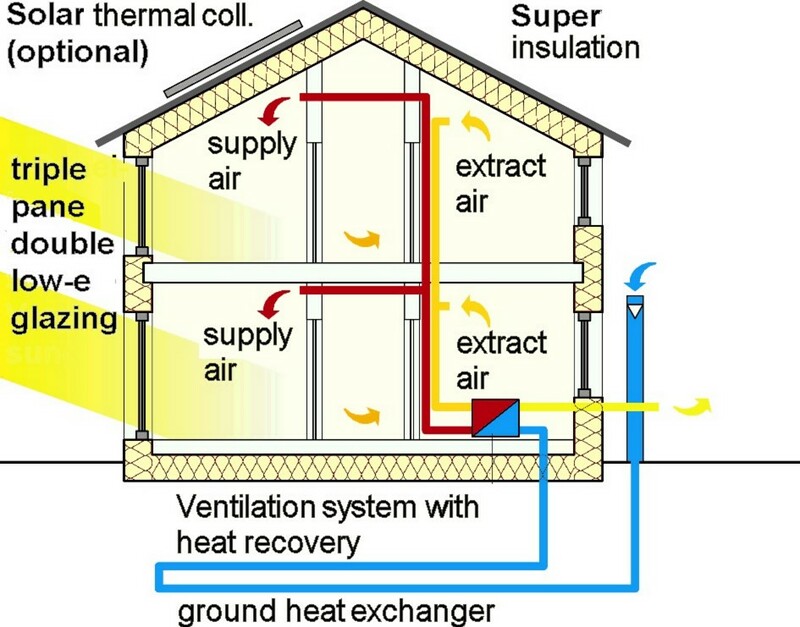 a very well-insulated, virtually air-tight building that is primarily heated by passive solar gain…and by internal gains from people, lighting, appliances and electrical equipment, etc. The Passive House standard was developed in Germany (where it’s known as “Passivhaus”) in 1996 by physicist Wolfgang Feist, who was inspired by and fully acknowledges the influence of the groundbreaking, superinsulated houses built in the United States and Canada in the 1970s. In this country, Feist’s work has been championed by German-born architect Katrin Klingenberg, who started the Passive House Institute US, also known as PHIUS in Urbana, Ill.
Design for… Usability, accessibility, clarity and meaning… substitution: materials, energy …localization: reduce transportation…transmaterialization: sharing things uses less resources… informationalization: open source and network sharing…durability: making something last longer, be more meaningful and also more repairable…reuse… disassembly…finding civic partners who can use your waste or supply your materials…redesigning the system using design.